The desktop PC version of Windows 10 has been out since yesterday, but the mobile variation of Microsoft's latest OS is still in the making. Furthermore, we don't even have an exact release date for Windows 10 Mobile yet, so it may take a few months for it to actually surface. In fact, the latest rumors on the matter talk about a November launch. In the meantime, however, you might want to know which Lumia-branded smartphones are going to get the update to Windows 10 first. Microsoft has helpfully published an official list. So, if you own a Lumia Lumia 430, Lumia 435, Lumia 532, Lumia 535, Lumia 540, Lumia 640, Lumia 640 XL, Lumia 735, Lumia 830, or Lumia 930, you'll be among the first people on the planet to experience the final version of Windows 10 Mobile when it hits. 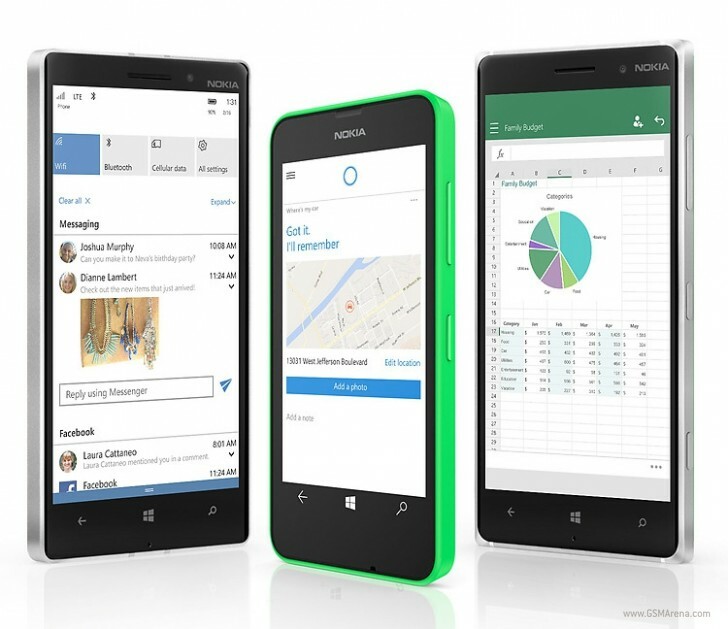 If you have a different Lumia, there's no reason to panic just yet. Microsoft has confirmed that the above are not the only Lumias to get Windows 10, just the first in line for the update. So the new OS should make its way to many more models at some point. In all cases, the update to Windows 10 Mobile will be free. On this occasion, Microsoft has once again promised that all Lumias running Windows Phone 8.1 with the Denim software will eventually get upgraded to Windows 10. Nokia Lumia 730 receive wp10 update?